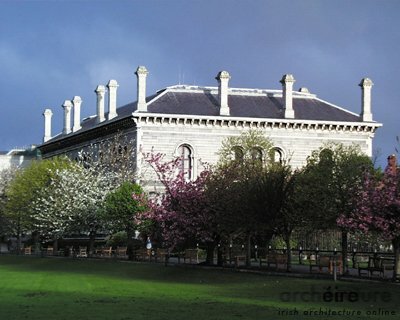 The winning design of a competition to design a museum and lecture hall complex for Trinity in 1852, this is one of the first statements in architecture of pre-Raphaelite ideals. 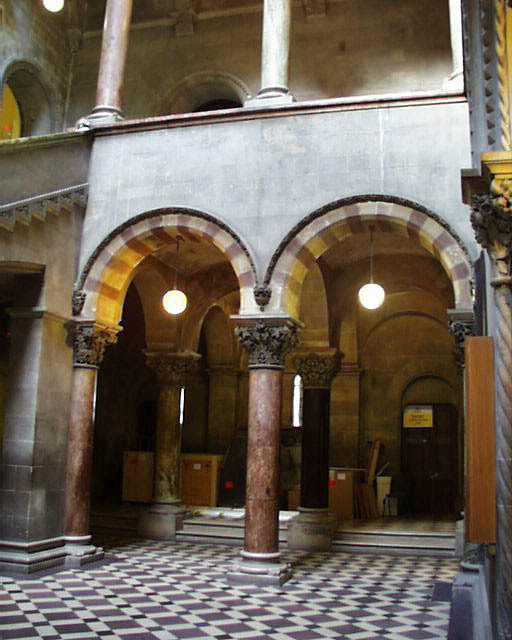 A palazzo style structure with Lombardo-Romanesque detailing, the museum is highly decorated with over 180 different carved capitals. 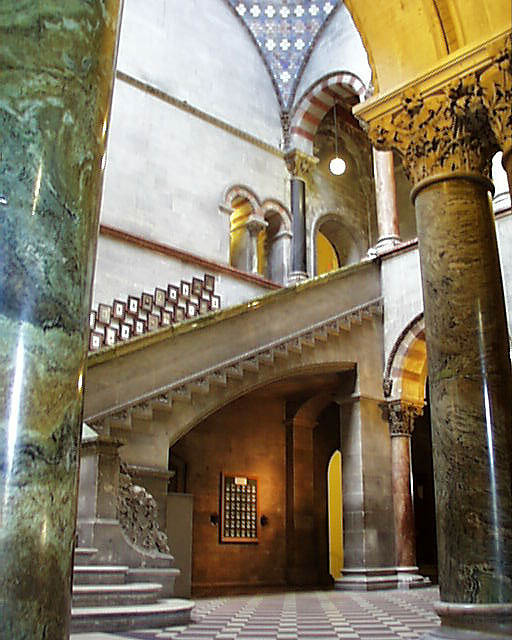 The most impressive part of the building interior is the hallway and staircases. 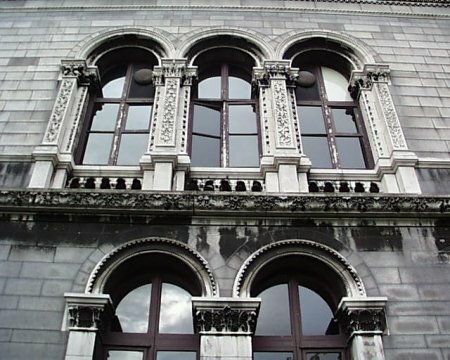 The exterior is richly decorated and although pretty dirty after years of Dublin pollution, the detailing around the windows and doorways is still impressive. 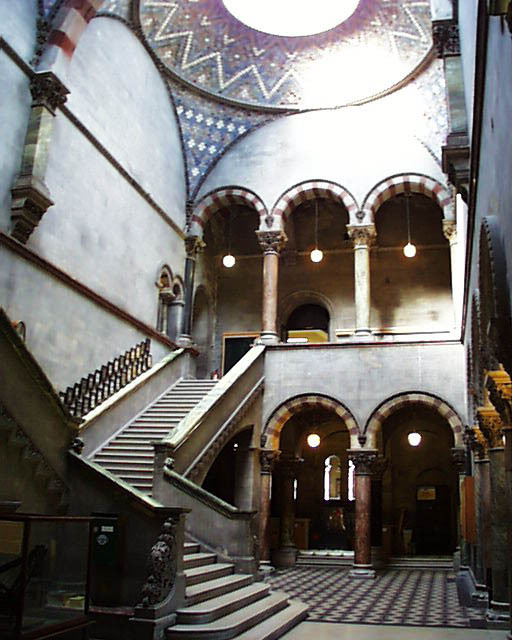 The columned hallway leads into a double domed chamber with a splitting staircase leading into two byzantine arcades. 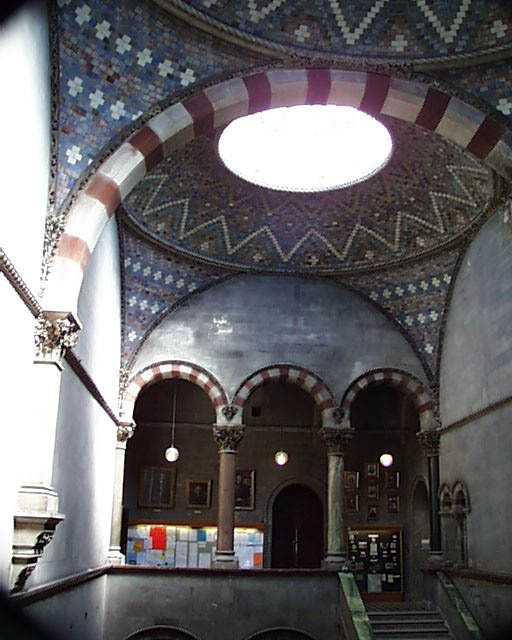 At one stage there was a plan to have the interior decorated with frescos by Rossetti. 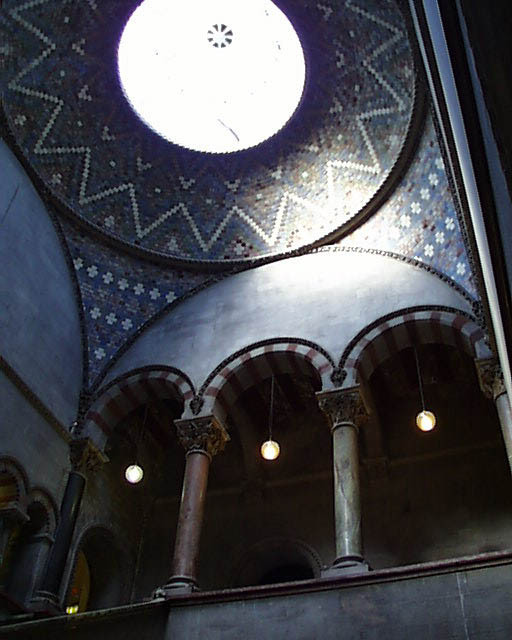 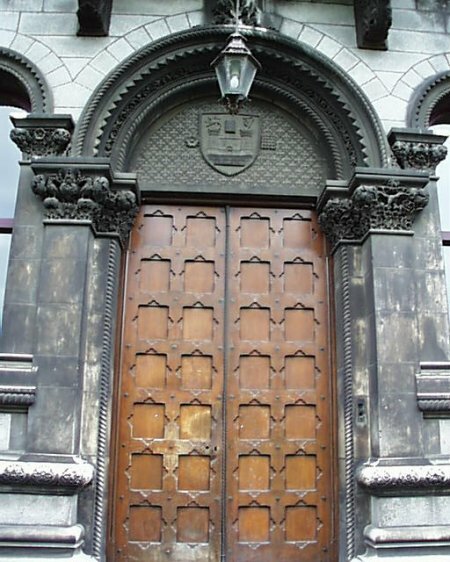 Many of the interiors designed for the building by Deane and Woodward were never executed due to the College resident architect John McCurdy persuading the Board of Trinity otherwise. 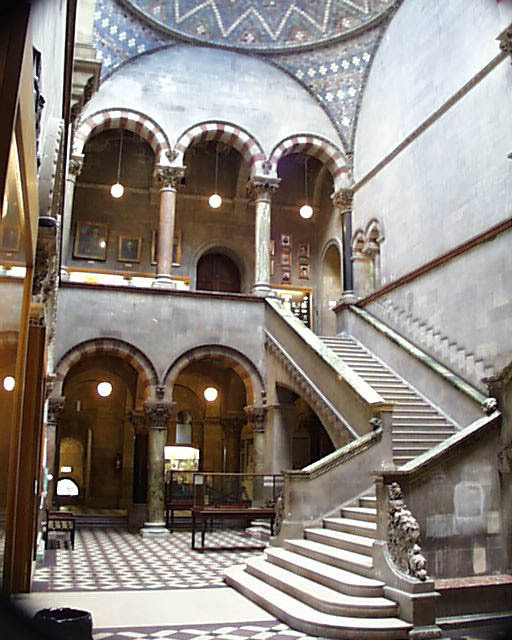 This means that many of the interiors are poor attempts by McCurdy. 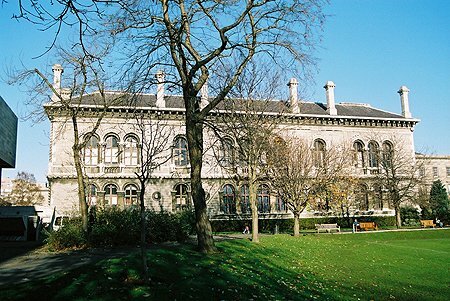 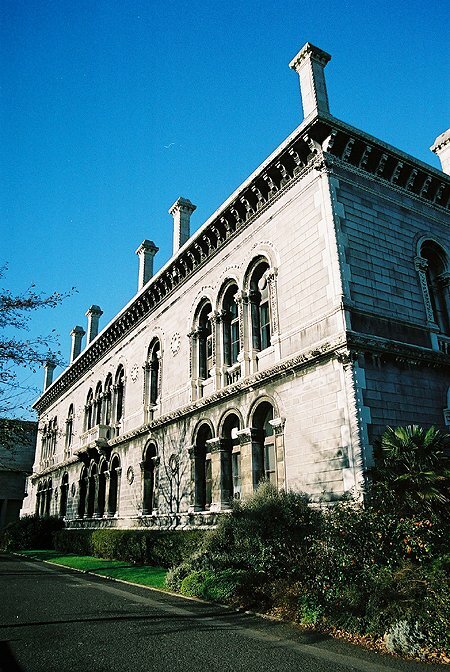 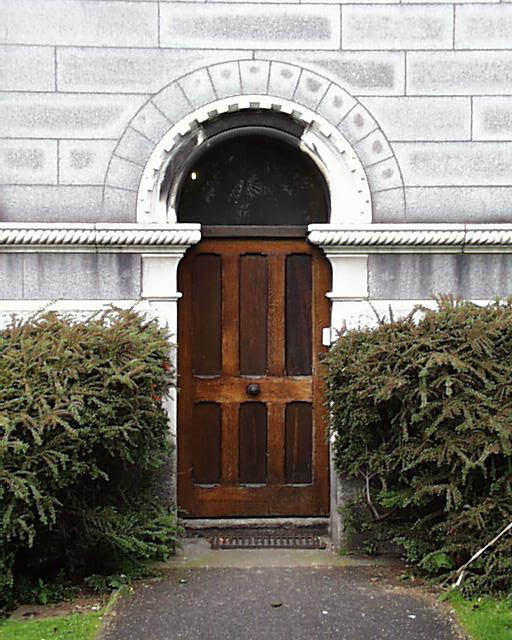 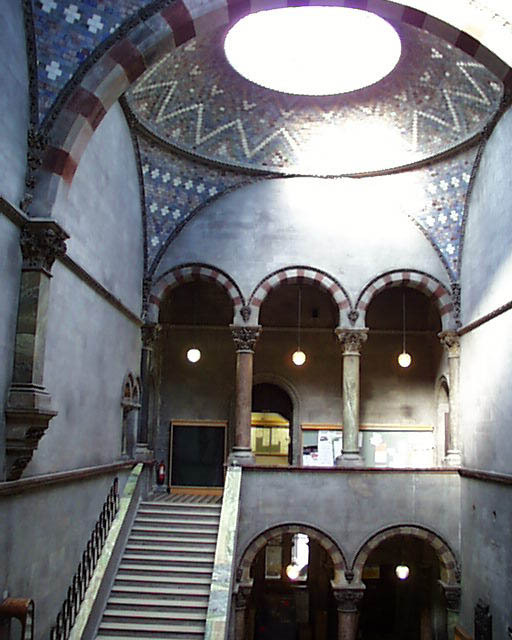 Deane and Woodward went on to redesign the College Library by Thomas Burgh by replacing the original flat roof with a great romanesque barrel vault and mansard roof.